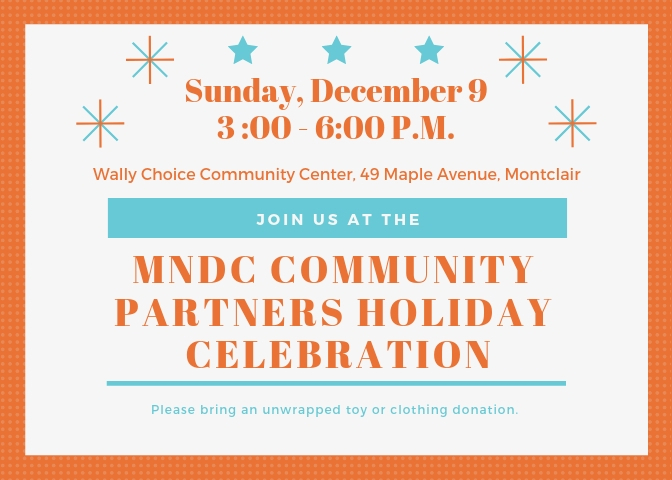 Save the date for the MNDC Community Partners Holiday Celebration on Sunday, December 9, 3-6 p.m. at the Wally Choice Community Center. We’d like to thank you for everything you do to help us meet our mission of serving youth, families and seniors. Please bring an unwrapped clothing or toy donation for our Toy Giveaway. Be sure to RSVP to Luis.